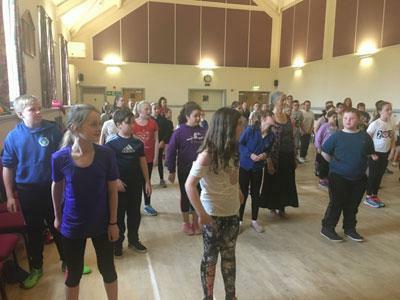 Pupils of the 8 Middle Eden schools - Long Marton, Asby, Bolton, Milburn, Morland, Crosby Ravensworth, Temple Sowerby and Kirkby Thore were delighted to participate in four street dance workshops held at Cliburn village hall. These were delivered by Andy Instone, Urban Strides of Young Voices fame. 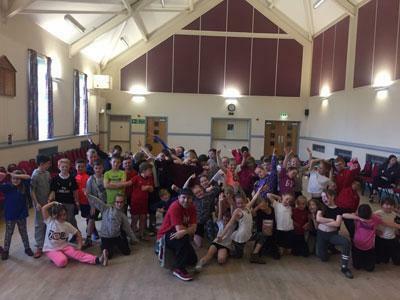 As well as acting as choreographer to stars such as Rhianna and Justin Bieber and having worked with Michael Jackson, Andy is famous with tens of thousands of children throughout the UK for his role as the choreographer to the Young Voices choir concerts.